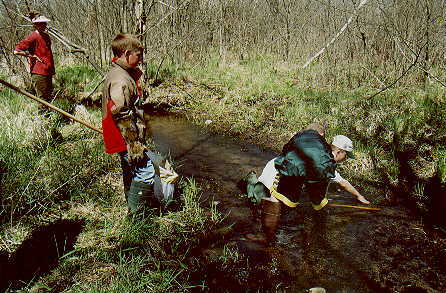 The Thornapple River Watershed Group and the Coldwater River Watershed Council teamed up with Kettle Lake Elementary in Caledonia Township, Kent County, Michigan, to teach stream ecology to 4th and 5th grade students as part of the FOCAL project. 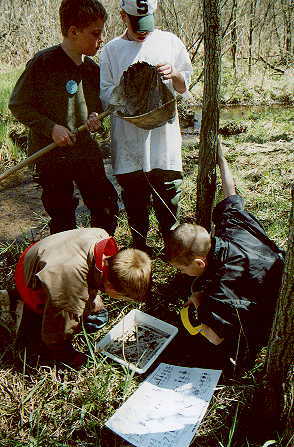 The seven week class consists of four field trips during April and May, 2000, with evaluation projects and presentations three afternoons in May. The lesson plans for the project are available for download at the link below. 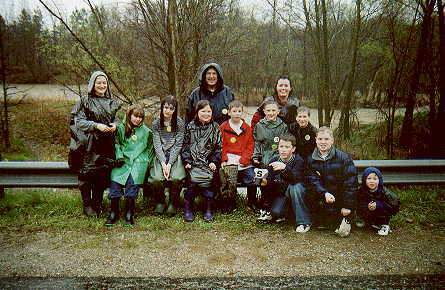 The STREAM TEAM 2000 got completely soaked on the field trip to Emmons Creek in Caledonia Township on April 20. Emmons creek was over the banks and flooding, and it poured rain. We got to study, first-hand, interesting facts about streams, floods and floodplains. 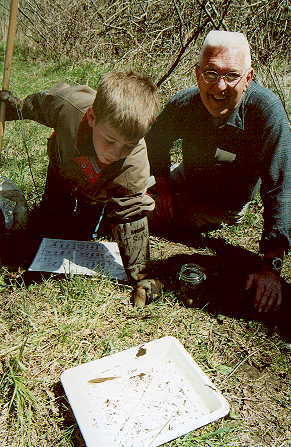 On April 27, we did a biological and habitat assessment of Linda's Trout Stream in Barry County, Thornapple Township. 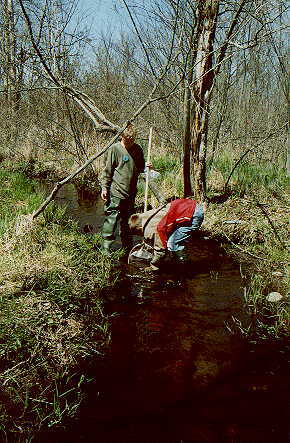 Careful measurements of stream width and depth were taken, then averaged. 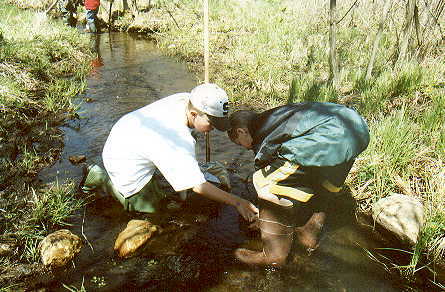 The data students collected will be used to record basic information about the present condition of the stream. 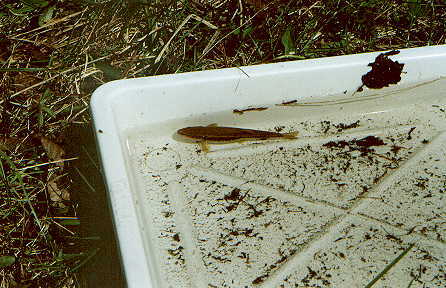 Students found several creek chubs in the stream. The insects that live in stream bottoms are "water canaries"; that is, they are a good indicator of how healthy a stream is. We took many samples with our nets. After collecting the insect larvae from the stream, we identified them using a picture key. The insects we found are excellent food for fish such as this one. It was such a beautiful day and location to be a field biologist! 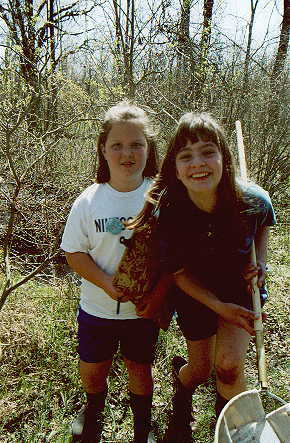 Biologists Dana and Heather enjoyed themselves thoroughly.